As you may have saw on our Facebook page, yesterday was my daughter's 1st birthday! I can't believe it has been a year already! It was a very fun day and very busy with it being Easter too! 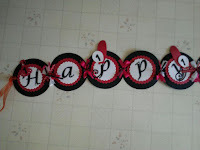 With two young children, my party planning skills are not as sharp as they could be and I don't have the time I want and need to make decorations and fun party supplies. So what did I do for my daughter's party? 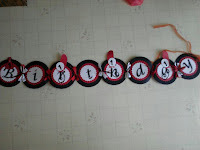 I turned to New Creations & Co. to help me with my party decorations! 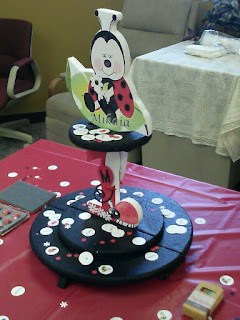 We had a cute ladybug theme and New Creations & Co matched it perfectly and created a super cute cupcake holder centerpiece, banner and personalized confetti! They were the highlight of the party! New Creations & Co is the home of Unique & Inspiring products. Their goal is to help their customers with amazing creations! They accept custom orders for parties and they customize any centerpieces and/or confetti to any theme! The custom banner I received was so detailed and cute! 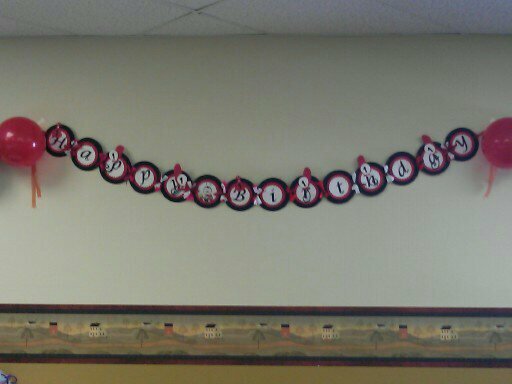 It said Happy Birthday and then my daughter's name in the middle! The colors were perfect and fit our theme! It was nice and big so it looks great on any wall at your party! 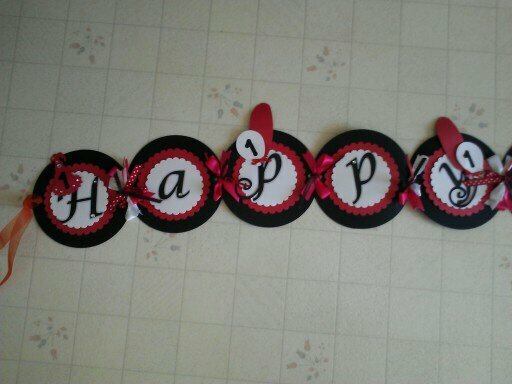 It comes with ribbons on both sides for easy hanging either with tape or even nail. 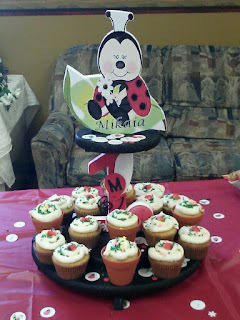 But my favorite item would have to be the cupcake holder centerpiece! Not only did it make a great centerpiece on our food table, but it doubles as the cupcake holder and you all know how much I love dual-use items! The centerpiece was easy to put together and once again was made to fit our theme perfectly! It even has my daughter's name on it again and it fit about 20 cupcakes! I love how detailed it was and everyone was commenting on how cute it was! I also LOVE the personalized confetti! 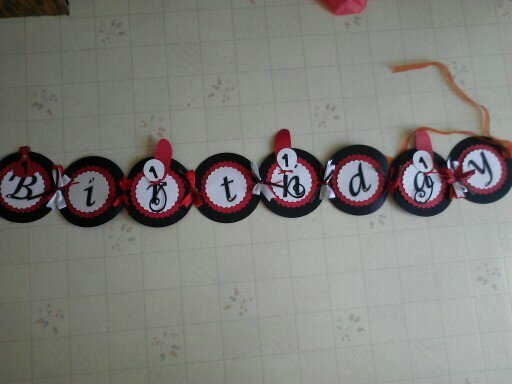 They were so cute and were perfect to spread on the tables, cupcake holder and on the present table! They had my daughter's name, ladybugs, "1" and our theme colors and they were so cute! I just love how great of a job New Creations & Co. did matching our theme and creating SUPER CUTE and practical items for my daughter's party! If you are planning your upcoming child's party but just don't have the time to make it personalized and cute, let New Creations & Co. help you and know they will make something great that matches your theme perfectly! Buy It: You can purchase all personalized and custom birthday items (and see more pictures of my items!) from the New Creations & Co Etsy shop. 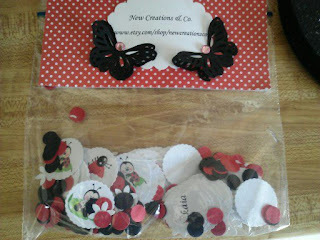 Win It: New Creations & Co are generously offering (1) Package of any available personalized confetti to a lucky winner!